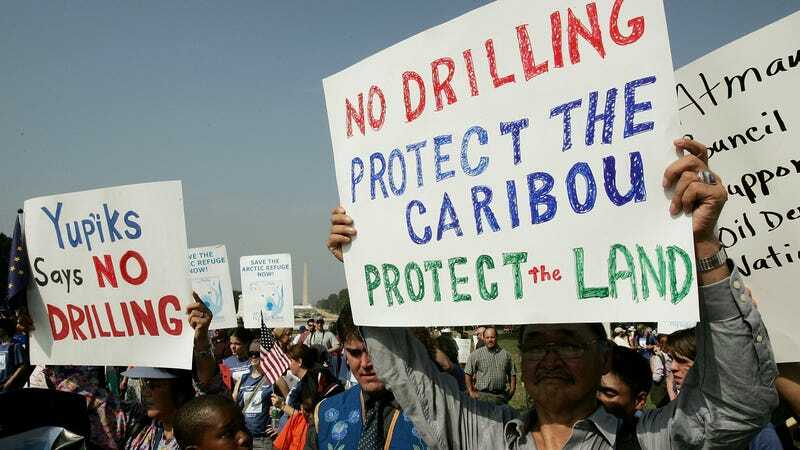 As Congressional Republicans inch closer to drilling in the Arctic National Wildlife Refuge, the Trump administration just granted the first new oil exploration permit in the American portion of the Arctic ocean in two years. The Bureau of Safety and Environmental Enforcement approved a permit Tuesday for Italian energy company Eni U.S. Operating Co. Inc. The company applied back in August, and it could begin poking around for oil in the Beaufort Sea as early as December. This region sits off Alaska’s north coast. Eni is hoping to pump, at minimum, 20,000 barrels of oil a day, according to the bureau. This will add to the company’s already existing portfolio in the region that includes 18 producing wells and 13 injector wells. But the company wants to drill deeper this time around using “extended-reach drilling techniques,” per the bureau’s announcement. The drilling would begin on the state-owned, man-made Spy Island northwest of Prudhoe Bay, but would target a formation on federal waters roughly 4 miles away. New oil and gas developments in the region were recently off limits. Former President Barack Obama had imposed a ban on further Arctic oil and gas leasing in December. Many environmentalists and some Alaska Native groups championed this ban as a means to protect the local ecosystems from potential oil spills. Indigenous groups depend on the surrounding waters and wildlife for their subsistence living. But the current president was quick start walking back Obama’s nascent Arctic ocean protections. President Donald Trump’s America-First Offshore Energy Strategy Executive Order moved to lift the ban, and 10 groups—including tribal people and major green groups—responded with a lawsuit in May. That’s ongoing, but the administration hasn’t shied away from its goal of extracting more fossil fuel resources from the Arctic. In fact, the Trump administration recently put 10.3 million acres of land up for leasing in the National Petroleum reserve, and the tax bill currently going through Congress is packaged with a proposal for drilling in the Arctic National Wildlife Refuge. If the tax plan goes through, so could drilling in a segment of this pristine landscape. The full Senate is expected to vote on the bill later this week. If this permit approval signals anything, it’s a new era for fossil fuel development in Alaska’s North Slope.